Turkey's northwestern province of Bursa has become the country's top region for organ transplants, with hospitals in the area receiving more organ donations and transplant cadavers than hospitals in Turkey and much of Europe. Bursa has seen a sharp increase in transplant tissue donations over the past seven years. In 2009, hospitals in the region received about 1.8 cadaver donations per million people; in 2016, that number rose to 22 cadavers per million. Dr. Özcan Akan, Bursa's Provincial Health Director, explained that awareness initiatives were a major factor behind the sudden increase in donations. In Turkey, many citizens used to be hesitant to become organ donors for religious reasons. That changed in 2012, when Turkey's Religious Affairs Directorate issued a fatwa saying that organ transplants were in line with the rules of Islam. Imams reinforced this notion in mosques. Meanwhile, unions, political parties, NGOs, and women's and children's organizations were asked for their endorsement in support of organ transplants. Health organizations also prepared banners, brochures, and films to spread information and to raise awareness abut organ donation across Turkey. During the course of the awareness campaigns, doctors, nurses, and 112 intensive care unit employees were being trained in Bursa. 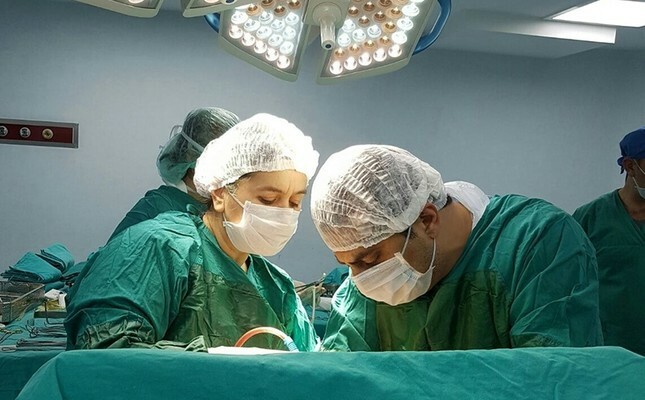 The Charge of the Bursa Organ Transplantation Region, Yavuz Selim Çınar, explained that good teamwork is the key to successful organ transplantation. "We were fortunate that our team of intensive care unit staff, doctors and nurses were all tasked with the [transplant] coordination process. This is the case in all successful examples around the world," Çınar said. He continued, "Many of our hospitals in the region supply donor corpses at a much higher average than the rest of Turkey. There are times when there are three donors in a single day. For example, a public hospital in the Bandırma district, which has a population of 100,000, supplied 12 donors last year. The role of social media and the cooperation with local press agencies also plays a large part." Çekirge State Hospital produces not only the largest number of cadaveric donors in the region, but in all of Turkey. There are 109 intensive care beds in the hospital, 74 of which are reserved for adults. Çekirge State Hospital chief doctor, Kayhan Sonkur, who has been the organ transplant coordinator at the hospital for seven years, said, "Success is about the team. From the anesthesia experts to the cleaners, everybody plays a part in this job." Didinen said that because the hospital had raised high awareness about brain related death cases in patients, they were able to supply 31 donors out of a total of 49 brain cases. Explaining that the hospital treated patients very well, Didinen added that after a patient's death, no family had accused them of mistreating their relative or questioned why they had asked for the deceased's organs. "We take good care of our patients. This makes the family very comfortable during our negotiations,"Didinen said. Following Bursa, the Izmir region has the second highest number of cadaver donations in Turkey, with 10.8 cadavers per million people. Bursa reached the European average in 2015 with 15 cadavers per every one million people. They surpassed many European averages in 2016 with 22 cadaver donations per million. In Norway the ratio is 21.3 per million, followed by the UK at 20.3, Sweden with 17.2, Netherlands with 16.8, Denmark with 15.3, and Germany with 10.9. Located in the northwestern region of Marmara, Bursa is Turkey's fourth largest city.